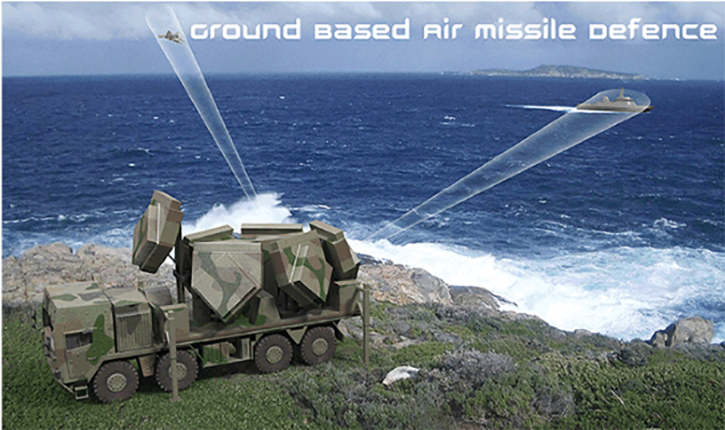 The Australian Government has approved the development of a new Short Range Ground Based Air Defense system to improve protection for deployed personnel. 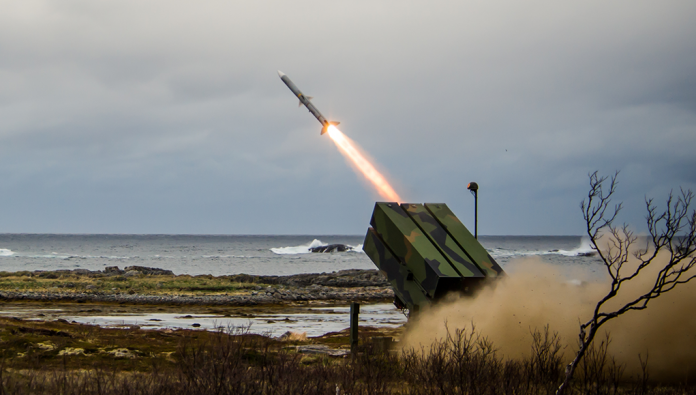 Raytheon Australia has been selected as the single supplier for the A$2 Billion program, delivering the NASAMS to the Australian Defense Force. The Government will invest up to A$2 billion (US$1.6 Billion) in the new ground-based air defense (GBAD) solution that will provide the inner-most layer of Australia’s future, enhanced integrated air and missile capability. 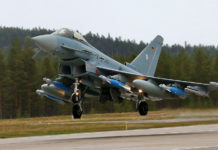 The capability will be operated by the Army’s 16th Air Land Regiment. Minister for Defense Senator the Hon. Marise Payne said the project is the first step in the development of the Australian Army’s contribution to the Australian Defense Force’s Integrated Air and Missile Defense Program announced in the 2016 Defense White Paper. 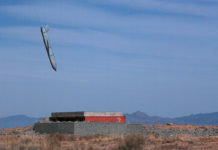 The acquisition, under the ‘LAND 19 Phase 7B’ project, “is designed to protect our deployed forces from increasingly sophisticated air threats, both globally and within our region,” said Minister Payne.The 16th Regiment currently operates the RBS-70 short-range air defense missile, due to be retired early in the next decade. The Australian Defence expects to get final government approval for the project by 2019. 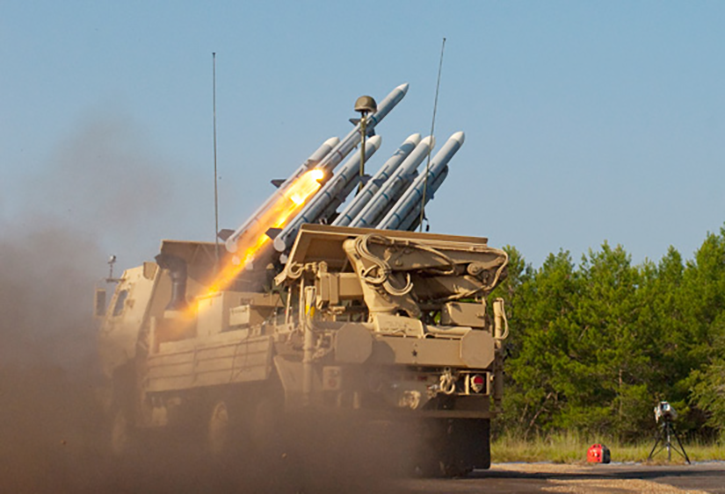 The 16th Regiment currently employs two battalions, equipped with RBS-70 short range missile system, and two types of threat location radars – the Giraffe Agile Multi Beam (GAMB) radar and Light-weight Counter Mortar Radar (LCMR). 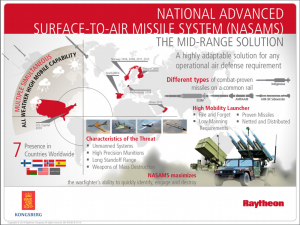 Based on a combined US-Norwegian air-defense system The NASAMS utilizes a Norwegian command and control system and Raytheon’s AIM-9X and AIM-120 AMRAAM missiles, both operational with the Royal Australian Air Force (RAAF) F-18E/F Super Hornet. NASAMS is currently operational with seven military forces, including Norway, Finland, Spain, Lithuania, Chile, Oman and the USA. 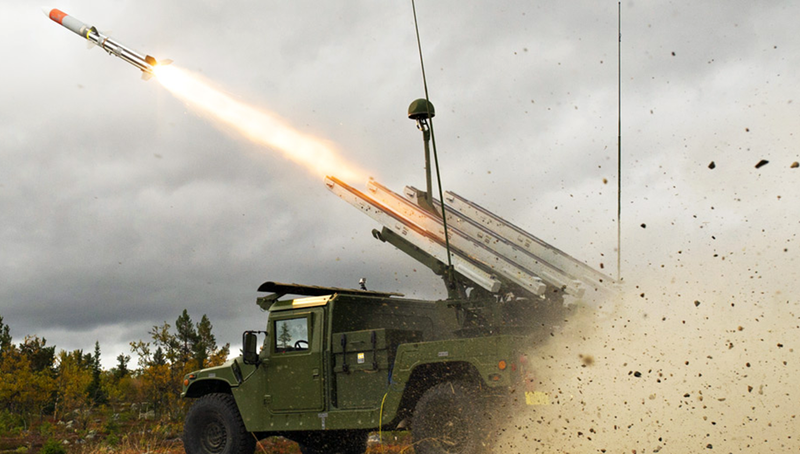 A complete NASAMS 2 battery consists of 12 missile launchers, each carrying four or six missiles in sealed launchers or rails. 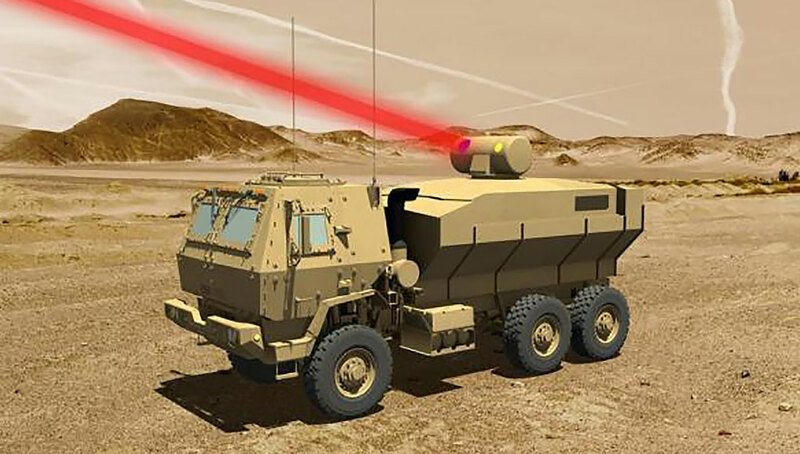 The battery’s fire control centre (CTOC) is supported by target acquisition radar (most system use the AN/MPQ-64 F1 Improved Sentinel) and electro-optical system, both mounted on vehicles or trailers. The system can also utilize different launchers and radar technologies. For the Australian solution Raytheon plans to explore the possibility to integrate the MEDUSA mobile AESA radar system, locally developed by CEA Technologies. Their phased array radar system has already been incorporated into Australia’s ANZAC class frigates and the GBAD project will trial the technology in a land-based role. 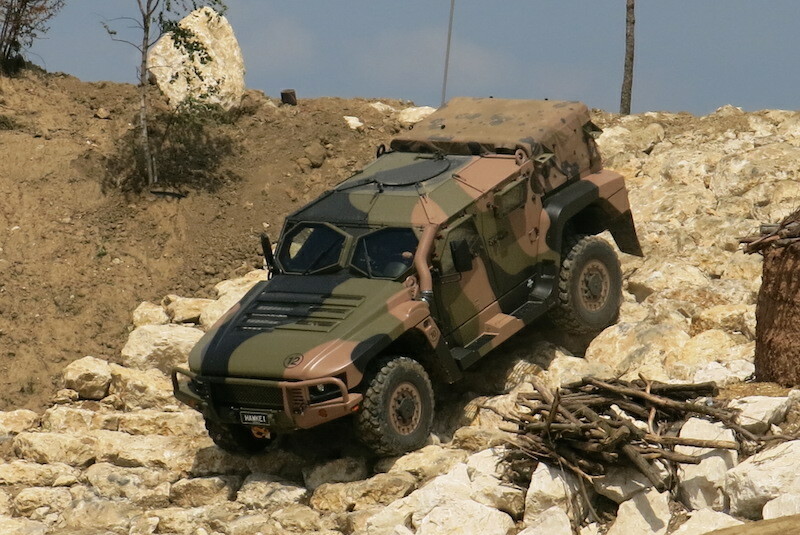 Raytheon will also investigate the use the ‘Hawkei’ armor protected mobility vehicles produced by Thales Australia as the prime movers and platforms for the deployable system. 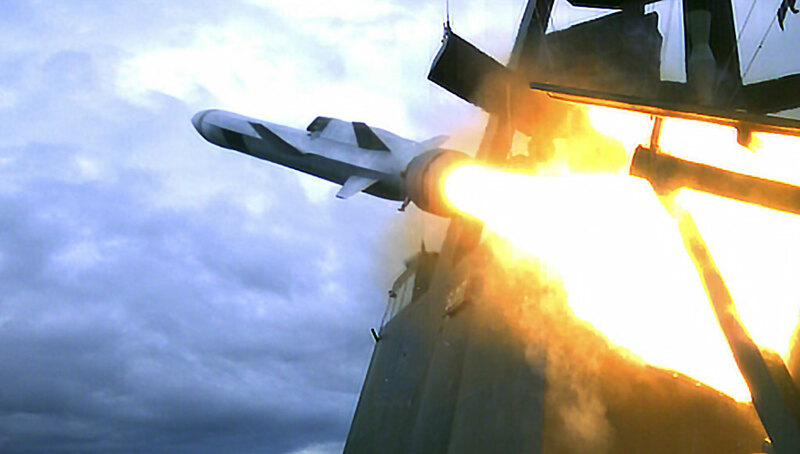 “Our solution combines proven US and Norwegian technology and Australian innovation backed by local integration and sustainment capability.” said Michael Ward, Managing Director of Raytheon Australia. In addition to utilizing Australian protected vehicles and AESA sensor technology, the system provides opportunities for Australian Industry across systems integration, component manufacture, assembly, vehicle integration and in-country sustainment. Raytheon Australia intends to conduct a series of Industry Showcases across the country later in 2017 to engage with local small to medium enterprises and develop the industry partnerships needed to deliver the air and missile defense solution. “Following early industry engagement on this project, the process has been expedited to ensure that a timely procurement can occur. This will save both time and costs for industry and government whilst maximizing local industry involvement.” Ward concluded. This configuration is using an FMTV medium truck mounting a launch system comprised of six AMRAAM rails. 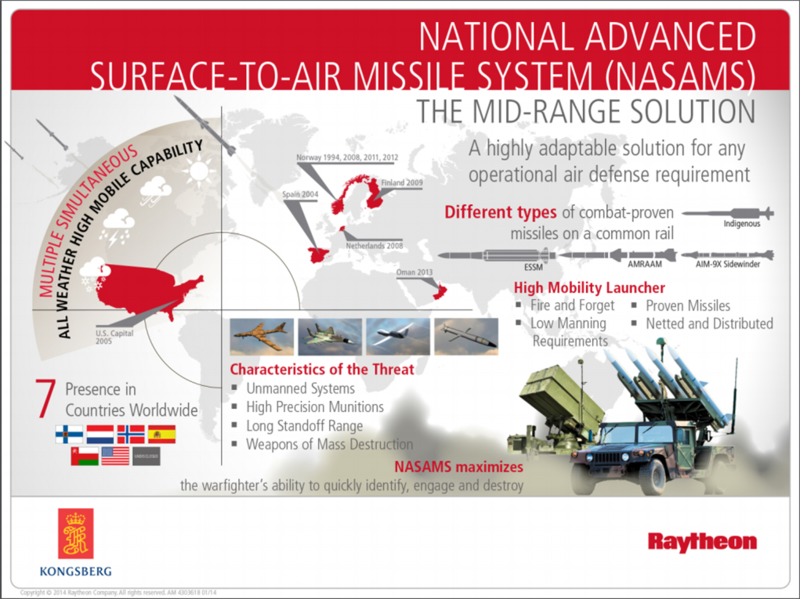 Raytheon is seeking to integrate significant local elements in the NASAMS system it offers Australia. One of the options is to mount the systems on Hawkei Armor Protected Vehicles. Photo: Raytheon.